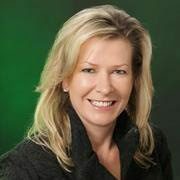 Karen has been an Investment Advisor with TD Wealth Private Investment Advice serving high net worth clients since 1994. Prior to joining TD she was an Asset/Liability Analyst with Manulife Financial. Since then, she has built a successful practice for individuals, families and businesses who appreciate an extra level of care. Her professional accreditations include the Canadian Securities Course and the Canadian Investment Manager Designation. She also holds a Fellowship of the Canadian Securities Institute, and a Fellowship of the Life Management Institute. Helping clients meet their financial goals with a constant dedication to delivering sophisticated investment solutions backed by the vast resources of TD Wealth and all of its investment and banking resources.